The perfect combination of long lasting design, excellent quality, and reasonable pricing. 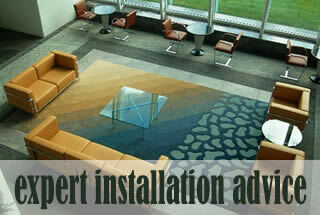 Welcome to the official PALAZZETTI web site, home of the premium quality Modern Classics Furniture, Rugs, Accessories. 2018 is our 37th anniversary. The Classics of Modern Furniture, a museum quality collection of major early 20th century and Bauhaus designs, was presented in New York by PALAZZETTI 37 years ago, with original specifications. They are still manufactured in Italy to the same exact standards. Designs by Le Corbusier, Mies Van der Rohe, Marcel Breuer, Eileen Gray, Renee Herbst, JM Frank, Gerrit Rietveld, Pierre Chareau, Joe Colombo, Cleto Munari, Ettore Sottsass, Piero Fornasetti, Nathalie du Pasquier, Aldo Londi, are all part of this collection. Included in the Palazzetti collections are all of the products designed by Piero Fornasetti. Fornasetti porcelain, plates, accessories, pillows, clocks, screens, furniture, lamps, profumi per la casa, tiles. Palazzetti is also the source for quality furniture parts for Le Corbusier, Mies van der Rohe, Eileen Gray, Marcel Breuer and Renee Herbst chairs. 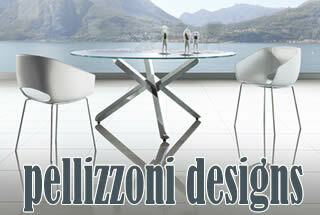 Contemporary classics like the Pasqualina chair and stools of Enrico Pellizzoni collection of leather chairs. An extensive collection of Joe Colombo chairs, Continental bookcases, containers and the iconic Joe Colombo Boby trolley and Multichair are now available. The collection of Bitossi Ceramiche with classics ceramic vases by Ettore Sottsass, Aldo Londi, Karim Rashid, Arik Levy, Marco Zanini, George Sowden, Natalie du Pasquier. The Indian Memorie collection of Ettore Sottsass teapots made by Alessio Sarri is now available. Cleto Munari iconic collection of art furniture and ceramics is now available in very limited editions.